After a decade of seeking asylum, a Mexican reporter and his son have been granted a new asylum hearing. The pair has been detained in Texas since last December. A Mexican reporter who has been in immigration detention on the border since late last year has been granted a new asylum hearing after he and his son were nearly deported last Christmas. 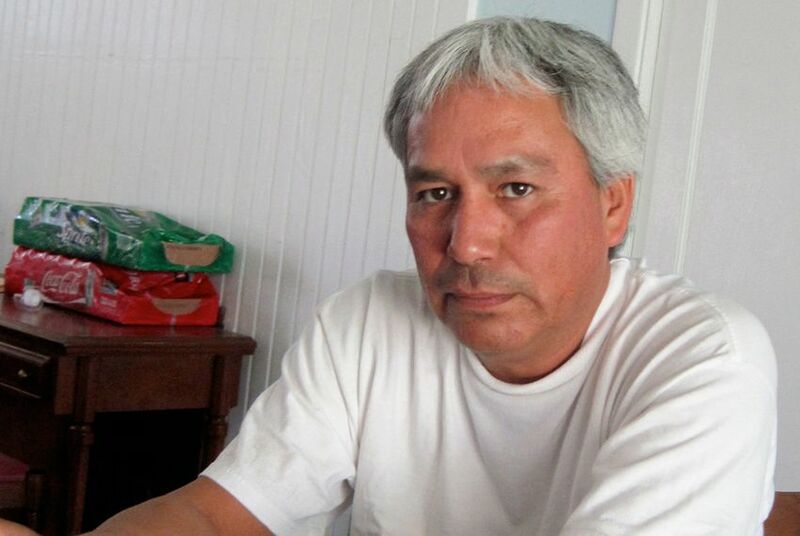 Emilio Gutiérrez Soto and his son Oscar fled the border state of Chihuahua in 2008 when Emilio Gutiérrez’s reporting on cartel crime and corruption there led to death threats. Both had been living legally in the United States while waiting for a final decision from an immigration judge on the asylum claim, which they said was warranted because of Gutiérrez's work chronicling one of the world’s most violent countries. After dragging on for nearly a decade, Gutiérrez's claim was denied last year and his appeal was initially dismissed in December. But the Board of Immigration Appeals reinstated the appeal, and the board ruled last week that new evidence submitted in the case warranted another look at the claim. The board wrote that its decision was based in part on new evidence submitted during the appeal and that while it doesn’t usually “address evidence for the first time on appeal,” it would return the case for consideration of “newly available” evidence. The National Press Club, which joined Beckett and other journalism organizations in their efforts to secure the Gutiérrezes' release, said that included more than 150 pages of Gutiérrez’s articles and recent reports on the dangers of reporting in Mexico. U.S. Rep. Beto O'Rourke, D-El Paso, and officials with the Catholic Diocese of El Paso also called for the Gutierrezes’ release. Beckett said the next step is to get Emilio and Oscar Gutiérrez out of detention while their new case is handled. The reporter was recently awarded a Knight-Wallace Fellowship for the next academic year at the University of Michigan. The university has offered a $75,000 stipend but needs Gutiérrez in Ann Arbor by Aug. 27, according to a letter provided by Beckett’s office. He was also awarded the National Press Club’s John Aubuchon Press Freedom Award in October. Though the latest development is welcome news for the Gutiérrezes, Beckett and his clients know the battle to secure a permanent ruling in their favor will still be difficult. Of the 12,831 asylum requests from Mexicans received during the 2016 fiscal year, only 464 — less than 4 percent — were granted, while 2,624 were denied and thousands more were either withdrawn, abandoned or are possibly pending, according to federal statistics. That percentage of Mexicans granted asylum is far less than the 13.3 percent overall rate of approved asylum claims in the United States during the same time frame.